Note: Shown in COM. Standard upholstery material is black or brown calf leather. 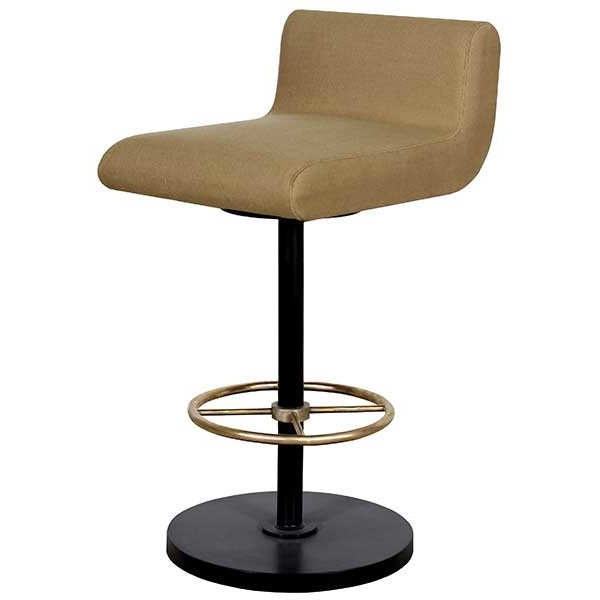 Euro Bar Chair was designed for upscale homes, pubs, restaurants, cafes, brasseries, wine cellars, and bars. With its European style understated elegance, it makes an ideal bar chair for the game room, man cave, or home bar. It is specially designed for use with one of our bars or bar tables. Constructed of robust metal, this bar chair is also available as a counter chair. The solid brass footrest adds that special accent to this exquisite piece. The seat has a memory swivel mechanism which makes it always face the bar when not in use. The seat cushion has 8-way hand-tied springs which will not sag even after decades of use. Custom sizing is available. 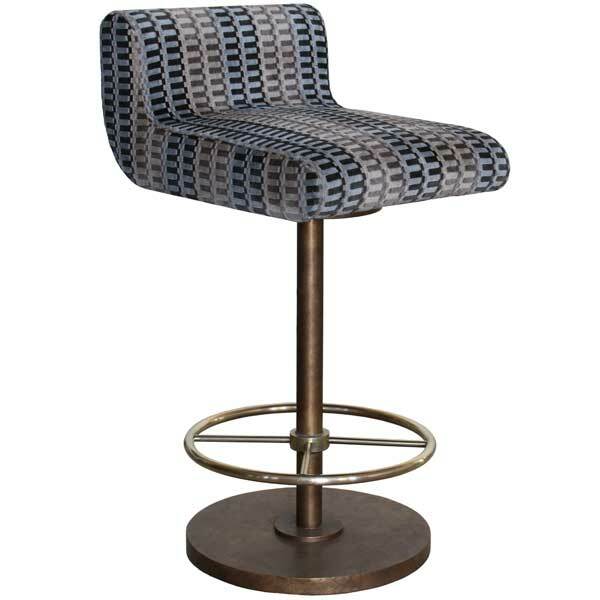 Upholstered in COM, the Euro Bar Chair is available in a variety of finishes. It makes an exceptional bar chair for high-end pubs, restaurants, and bars. Designed by Shah Gilani, ISFD.